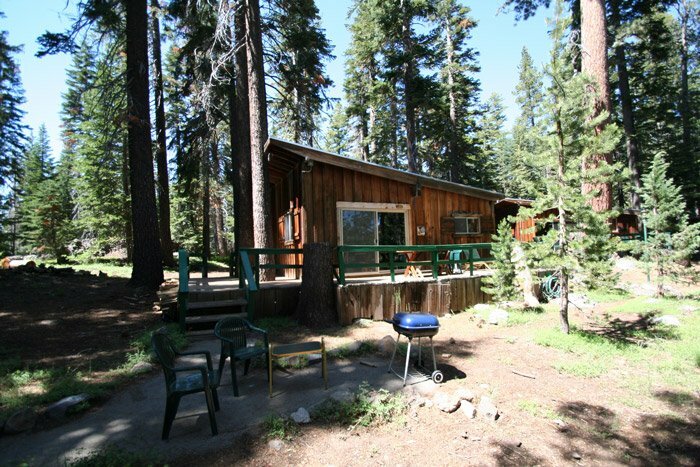 Fox is a quaint cabin that is nestled neatly within the trees of the forest. 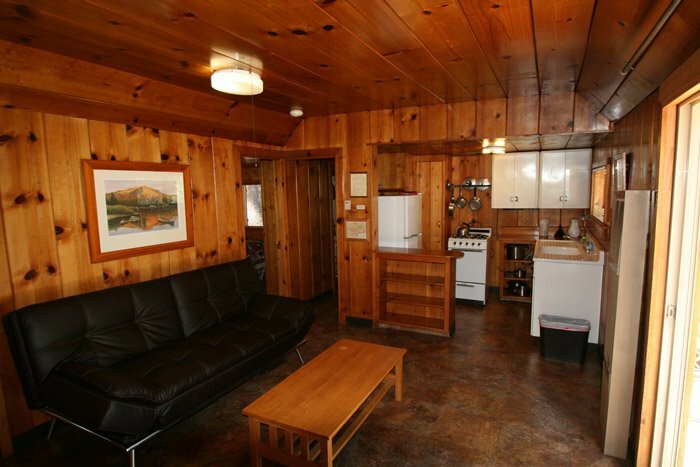 While staying at this cabin you will have a feeling as being one with nature with the convenience of having your own kitchen as well as outdoor barbecue. 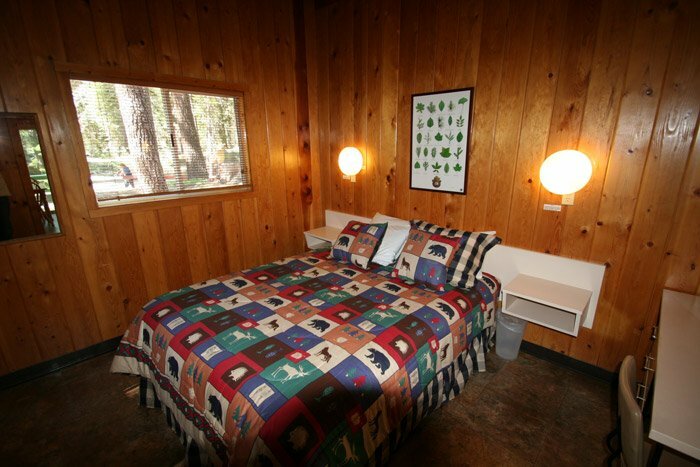 This cabin is able to host a maximum of five people as it has two bedrooms consisting of one queen bed, two twins, and a fold down futon in the living room. 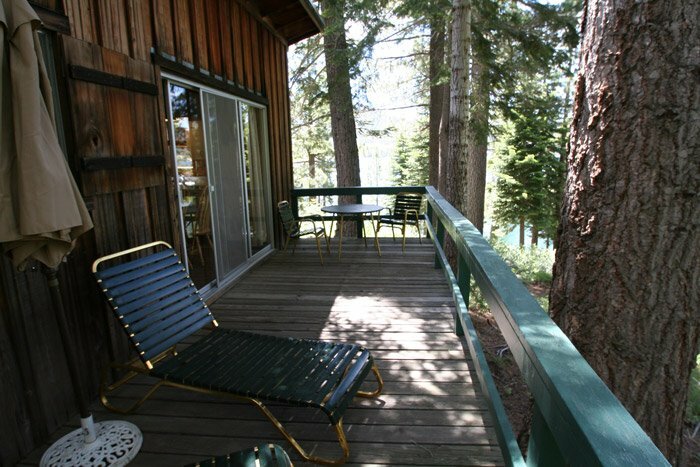 Beaver is a quaint cabin that combines both a view of our beautiful Jeffrey trees as well as a gorgeous view of the lake. 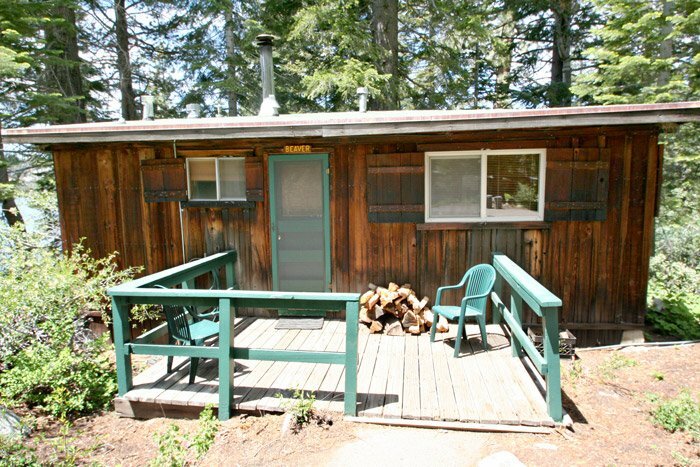 While staying at this cabin you will have a feeling as being one with nature with the convenience of having your own kitchen as well as an outdoor barbecue. This cabin is able to host a maximum of five people as it contains two twin beds, a studio couch as well as an alcove double bed. 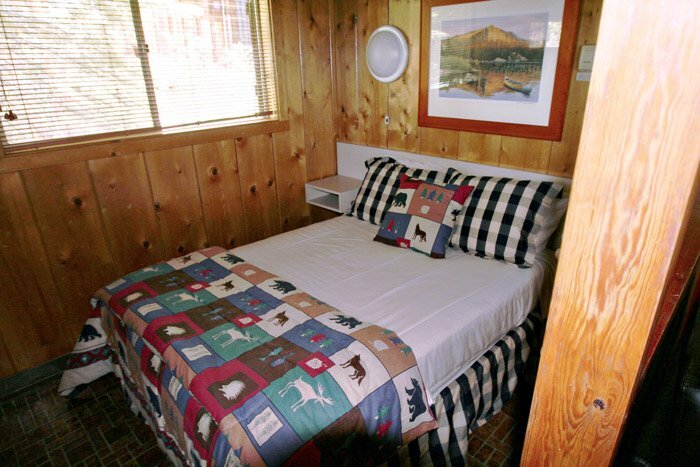 This cabin has amenities within accessible range to reach.